Discover the important headlines in Mexico from April 2018. 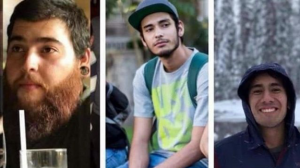 In March of 2018, three film students- Javier Salomón Aceves Gastélum, Daniel Díaz, and Marco Ávalos were last seen in the municipality of Tonalá, Jalisco. The three students were originally reported missing until news broke last week informing the public that they were in fact tortured and murdered. Authorities interviewed over 400 people, allowing them to better understand what happened to the students leading up to their deaths. It is reported that the three students were filming in a safe house belonging to the Cartel Nueva Plaza, the rivals of Cártel Jalisco Nueva Generación (CJNG). They were confused with members of the rival cartel, leading them to be kidnapped and tortured by armed suspects. The students were taken to another safe house where they were dissolved in acid. The investigation continues to stay open and has led the authorities to various possible suspects, including rapper QBA, also known as Ciro Gómez Leyva. QBA confessed to working with the CJNG and told officials he was in charge of putting the bodies in acid. The news prompted a response nationwide. The governor of Jalisco, Aristóteles Sandoval Díaz, expressed his solidarity to the families who were affected and promised to keep the investigation open until they apprehend all those who were involved. Luna, Adriana, “Fiscalía confirma muerte de estudiantes desaparecidos en Jalisco.” Excelsior. April 23, 2018. “Estudiantes desaparecidos en Jalisco, asesinados y disueltos en ácido.” Forbes Mexico. April 24, 2018. Luna, Adriana, “Rapero ‘QBA’ fue el encargado de disolver cuerpos de los tres estudiantes: fiscal.” Excelsior. April 25, 2018. On April 11, 2018 in Michoacán, Maribel Barajas Cortés was found dead in a ranch located in a vicinity of Las Flores, Morelia. She was a candidate of the Partido Verde Ecologista de México (Ecologist Green Party of Mexico, PVEM) and was running to be a local representative. In a public report, the Office of the State Attorney General stated that her death was caused by 8 wounds and a hard hit to the head. In the days following the murder, the authorities investigated this case by tracking footage of Maribel’s car, which ultimately led them to the house of a woman named Aurora. In due course, Aurora “N” was apprehended for being connected to the femicide of Maribel Cortés. The Attorney General said that Aurora “N” was supposedly contracted by Maribel to assassinate her current boyfriend’s ex-girlfriend. 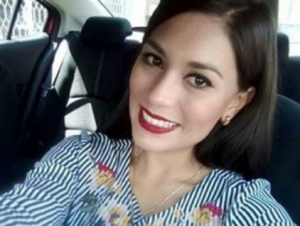 The two allegedly agreed to meet and subsequently, negotiated a deal wherein Maribel was to give Aurora 10 million pesos and her car in exchange for the murder of her boyfriend’s former partner. However, the negotiations were derailed, ultimately leading to the murder of Maribel. Aurora is awaiting trial in a Morelia prison known as “Mil Cumbres”. Maribel’s death prompted a response from the PVEM through Twitter. They expressed their condolences and spoke out against violence towards candidates, calling for more thorough investigations and protections in place for those participating in elections. “Asesinan a Maribel Barajas, candidata del Partido Verde a una diputación en Michoacán.” Animal Politico. April 11, 2018. Davish, Francisco García, “Asesinan en Michoacán a candidata del Verde.” Milenio. April 12, 2018. Tinoco, Miguel García, “Internan en Cereso a mujer detenida por asesinato de candidata del PVEM.” Excelsior. April 15, 2018. Tinoco, Miguel García, “Candidata asesinada en Michoacán habría contratado a su presunta homicidio.” Excelsior. April 16, 2018. Arrieta, Carlos, “Vinculan a proceso a presunta homicida de candidata en Michoacán.” El Universal. April 21, 2018. Famed drug lord, Doña Lety, was indicted for crimes of association to organized crime and drug trafficking in April 2018. Her capture in August 2017 was pivotal for local authorities in Cancun because she was seen as promulgating violent disputes within the city. 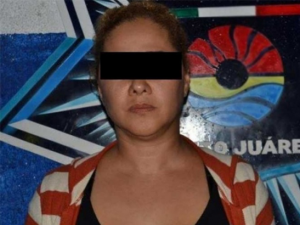 Leticia Rodriguez, better known as “Doña Lety”, is reportedly a former police officer and one of the few women in Mexico to be the head of a drug cartel. A Mexican court established proceedings against “Doña Lety” and her organized crime group, Cártel de Cancún, which operate in Cancun, a popular tourist destination. “Doña Lety” and her cartel- who allegedly holds ties to El Chapo’s Sinaloa Cartel, plays a predominant role in the drug market of Cancún and Playa del Carmen. The Cartel de Cancún has been operating since 2005, with the alleged help and protection of local authorities. It is reported that a number of Doña Lety’s cartel members were previously involved with other criminal organizations and served as judicial officials. According to Fox News, the recent incline in murder rates within Cancún is believed to be directly linked to the constant turf war between Cartel de Cancún and their rival, Los Zetas. These two organized crime groups are fighting for control over key drug trafficking plazas in the local region. Most recently, on April 25, 2018, five dead bodies were found stuffed in a car that was reported stolen a month prior. It is stated that murder rates in Cancún have doubled in the past year, with over 113 people killed in 2018 so far. Garcia, Dennise, “Cae Doña Lety; controlaba la venta de droga en Cancún.” El Universal. August 10, 2017. Eustachewich, Lia. “Cancun murder surge fueled by alleged drug queen’s turf war.” New York Post. April 12, 2018. Galicia, Alejandra, “Encuentran 5 cuerpos embolsados en un vehículo de Cancun.” La Silla Rota. April 25, 2018. This entry was posted in Crime and Violence and tagged Cártel de Cancún, Cartel Jalisco Nueva Generación, CJNG, Daniel Díaz, Doña Lety, Javier Salomón Aceves Gastélum, Leticia Rodriguez, Marco Ávalos, Maribel Barajas Cortes, Partido Verde Ecologista de México, PVEM, Tonalá. Bookmark the permalink.